Babies. | there's no place like gnome. Another one went in the mail yesterday to a new baby soon to be born in Virginia to a Banana and her husband. This little monkey could be a boy or a girl so I went for bright colors. And monkeys. 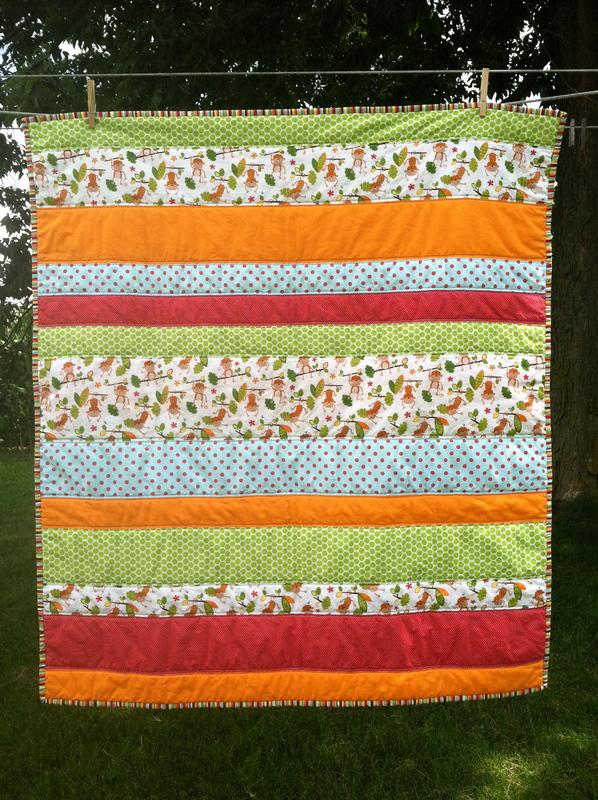 I love the simplicity of it – I love straight-line quilting. I think I need to do more of it. One of my favorite parts of this quilt is the binding. 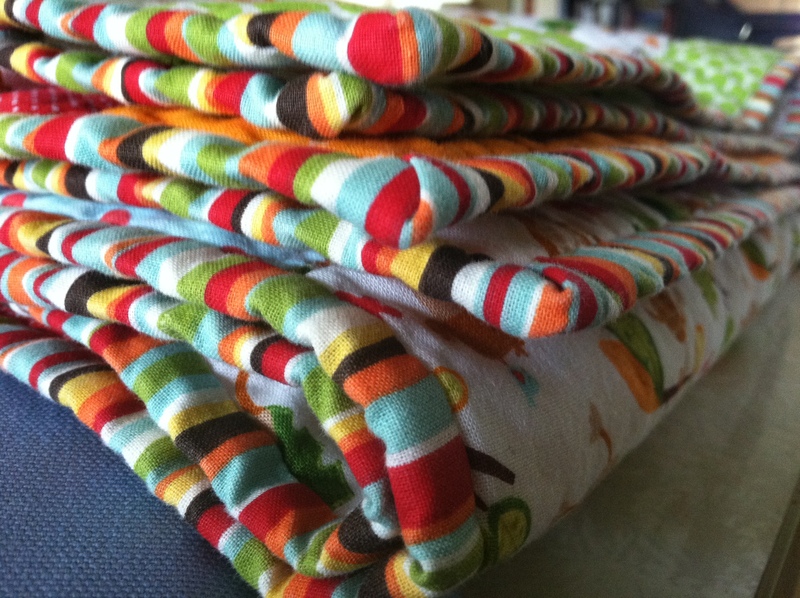 I was quilting along and wondering what I was going to use for the binding. I wanted something that popped but couldn’t think of anything but the fabric already used in the quilt. Then I remembered I had these awesome stripes which could not have matched any more perfectly. Love it. ← Where’d you go, Lindsay?